The BlackBerry cat is out of the bag and it's called Torch - RIM's newest slider smartphone. In an apparent slip up on AT&T's part the Torch smartphone appeared on AT&T's Website, complete with images and specifications, just before an 11am (ET) press conference was being held by RIM to officially announce the phone. 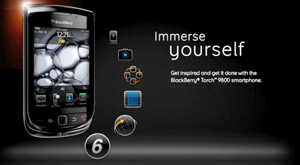 The Torch will sport RIM's BlackBerry 6 mobile operating system which includes a beefed-up mobile Web browser and what is being touted as RIM's "next generation" messaging system. The new BlackBerry OS also integrate support for Twitter and Facebook and other social networking feeds. The new BlackBerry 6 OS includes MediaSych functionality, supporting wireless syncing to a music library via Wi-Fi. The Torch weighs in at 161 grams, is 111 x 62 x 14.6 mm large, comes equipped with a 1300 mAh lithium battery. The GSM talk time is rated at 5.5 hours and standby time is 17 days. 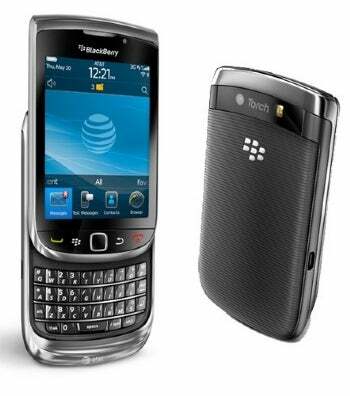 More on RIM's BlackBerry Torch as reports come in from Tuesday's press conference.